Most candidates for Kentucky governor have released their tax returns in recent campaign cycles. Republican Gov. Matt Bevin broke that tradition in 2015, a precursor to the 2016 presidential election when Republican Donald Trump also refused to release his income tax returns. Bevin has filed his annual statement of economic interest with the Executive Branch Ethics Commission, as required by law but would not be releasing his tax returns. "We filed our papers today, which I think is only one part of the filing that Kentuckians deserve," Beshear said. "And that's why I'm calling on all candidates for this office, both governor and lieutenant governor, to pledge to release their tax returns for the last two years." Beshear has publicly released his tax returns for the past two years. He released his 2017 returns in April. They showed he earned $118,000, paid more than $12,000 in taxes and donated $2,902 to charity. His statement of financial disclosure filed with the Executive Branch Ethics Commission shows he owns stock in US Bank and Microsoft. His running mate, Jacqueline Coleman, released her 2017 returns in August. They show Coleman and her husband together earned $115,260 in 2017 and paid more than $11,000 in taxes. 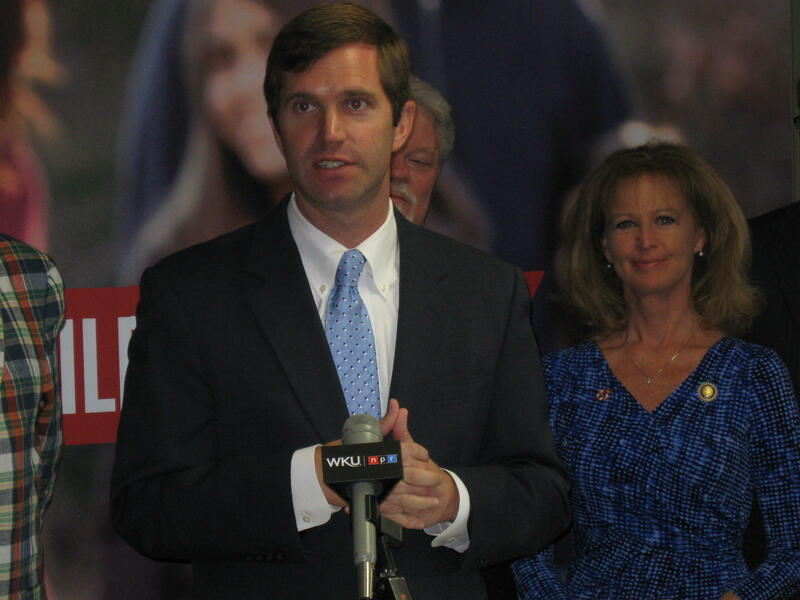 "The people of Kentucky see that I work for them," Beshear said. "I get my income solely from my job as attorney general and a few dividends." Edelen said he "would be happy to release my tax returns." Edelen said his running mate, Gill Holland, is "filing every single financial disclosure required by law." "He has a concern over his family's privacy and I respect that," Edelen said, adding: "Kentuckians also ought to know that I'm the only candidate in this race who has pledged that I won't take a dime of PAC money. Kentucky can be confident real people, not special interests or faceless PACs, are fueling our movement." Adkins campaign spokeswoman Courtney Daniel said Adkins "would be a transparent governor." "You can see that from the detailed financial disclosures he has filed over the years as a legislative leader," she said. "Anyone running for the governor's office should release their tax returns." Beshear has raised $1.16 million since launching his campaign last summer, a total that includes $20,000 of his own money. Adkins has raised $620,000 since announcing his campaign in November. Edelen launched his campaign last week. He is scheduled on Thursday to hold one of his first fundraisers, whose hosts will include Christy Brown, a major Democratic donor.